Some reformists contend that Jeffrey Beard's track record on prison expansion and overcrowding in Pennsylvania should be cause for concern. 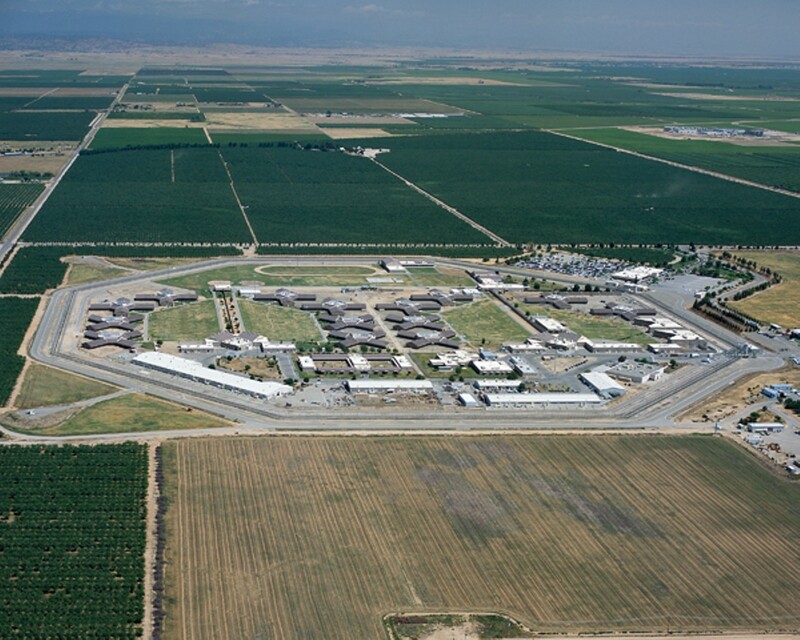 The Central California Women's Facility has almost twice as many prisoners as it is designed to hold. When Jerry Brown announced late last year that he had selected a new chief for California's troubled prison system, the governor argued that his choice — Jeffrey Beard — was uniquely suited for the job. In 2008, Beard provided expert testimony in support of prisoners who had challenged the substandard health care in California prisons due to overcrowding. "[T]he very critic, namely the plaintiff's expert witness, is now running the system so he's very well aware of the issues that are at hand here," Brown said of Beard. But some prison reform activists who monitored Beard's work in Pennsylvania when he ran that state's Department of Corrections from 2001 to 2010 say his record on prison expansion and overcrowding should be cause for concern in California. "I definitely didn't think it was very promising for California when I heard he'd been appointed," said Sarah Morris of Decarcerate PA, a group that campaigns against expanding Pennsylvania's prison system. She said she is skeptical about Beard's chances of bringing about real change here if he runs the prison system in the same way he did in Pennsylvania. "I wouldn't expect anything that's creative or thinking out of the box or really challenging the status quo," she said. Morris pointed to Beard's record on overcrowding. In 2008, the prison system in Pennsylvania reached 117 percent of capacity. The immediate cause of the overcrowding was a three-month parole moratorium ordered by the governor as a response to the killing of a Philadelphia police officer by a parolee. With more people being sent to prison and fewer getting out, the population inside rose dramatically. "The prison population has been expanding in Pennsylvania constantly for the past thirty years; the moratorium was significant in terms of the immediate increase, but it was just a small piece of the picture compared to mandatory minimum sentencing laws," Morris said. As in California, certain crimes carry set penalties in Pennsylvania. Activists like Morris would have liked to see Beard challenge Pennsylvania lawmakers to reconsider minimum sentences as a way to reduce overcrowding. "It was a moment when he could have pushed back," she said, "and pushed the legislature to reexamine the parole moratorium, and reexamine our harsh sentencing laws." Here in California, several groups, including the American Civil Liberties Union, are urging Beard to do just that. They're encouraged by statements the new secretary of the Department of Corrections and Rehabilitation made toward the end of his time as head of the prison system in Pennsylvania when he criticized the state's "heavy reliance" on incarceration and told legislators that the approach of "'locking them up and throwing away the key' does not solve the underlying problem." Kim Horiuchi, a statewide lobbyist for the ACLU in California, said she is hopeful that Beard will push for sentencing reform. "We're hopeful that he'll continue to embrace some of those progressive ideas and effect longterm change in the California correctional system," she said, "so that we're not continuing to litigate these issues every three or four years till the end of time." Not every reform group in Pennsylvania questions Beard's record there. Beard worked at the Pennsylvania Department of Corrections for forty years, beginning as a prison counselor and working his way up to helm the entire system under two governors. William Mancini of the Pennsylvania Prison Society called Beard a "hard-hitting, ethical individual" who, "in his own way tries to bring about reform." Corrections officials said Beard, 65, was not available to be interviewed for this story. In California, he is facing many of the same problems he experienced back East. Despite Governor Brown's claim last month that the prison crisis is "over," the system is currently at 146 percent of capacity, with one prison, the Central California Women's Facility, holding almost twice the number of people it was designed to. This means the level of overcrowding still exceeds the maximum level required by the court. And when faced with "horrific overcrowding" in Pennsylvania, Beard was unwilling, or unable, to publicly push for any reforms, Morris said. Instead, he shipped thousands of prisoners to prisons in Michigan and Virginia. He also asked the legislature for hundreds of millions of dollars to build three new prisons within the state. "All of his solutions to overcrowding and the increasing prison population were very much Band-Aid solutions — not actually trying to rethink how we do criminal justice," she said. She accused Beard of "talking out of both sides of his mouth" when it comes to reform. Under Beard's leadership, the prison population increased from 38,000 in 2001 to more than 51,000 by the time he left his position in 2010. All of this troubles Emily Harris of Californian's United for a Responsible Budget (CURB). "We need to see some immediate action from Jeffrey Beard if he's going to prove his commitment to reform," Harris said. "But what we're hearing from Pennsylvania is that Beard pushed forward a massive prison expansion plan instead of focusing on concrete ideas for bringing people home." Although a prison administrator has only so much power and influence when it comes to legislation, CURB is also concerned about Beard's support for solitary confinement. In Pennsylvania, he oversaw the state's most restrictive form of isolation: Long Term Segregation Units. 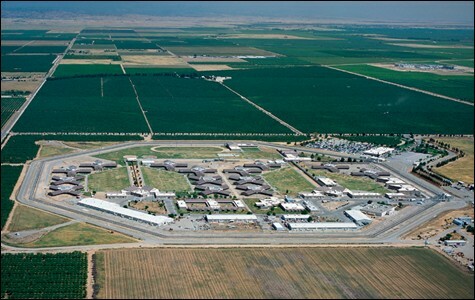 Opened in 2000, these units are closely modeled on the Security Housing Units at California's Pelican Bay State Prison. A year after Beard left his position in Pennsylvania, the US Justice Department launched an investigation into serious allegations of abuse at two state prisons: SCI Pittsburgh and SCI Cresson. When the investigation was announced in 2011, the DOJ stated that it would be addressing claims that SCI Cresson "provided inadequate mental health care to prisoners who have mental illness, failed to adequately protect such prisoners from harm, and subjected them to excessively prolonged periods of isolation." If a state fails to implement recommendations from the federal government, the DOJ can sue, and a court can impose a special master, like the one overseeing health care in California. Although the investigation was launched after Beard left, Bret Grote of the Pennsylvania-based Human Rights Coalition said, "the policies and practices that are being looked into are contiguous with what was going on when Beard was in charge." According to Grote, the increasing use of solitary confinement in Pennsylvania went hand-in-hand with expansion of the prison system. He said that his group has documented "hundreds upon hundreds of human rights violations" particularly from prisoners in long-term solitary confinement. Attorney Angus Love, director of the Institutional Law Project in Pennsylvania, said he frequently "butted heads" with Beard over the use of solitary confinement. Love said that it was "the atmosphere that existed" in the prison system that allowed abuses to occur. Dan Berger, a prison historian based at the University of Washington who worked in Pennsylvania, said Beard's record on prison expansion, overcrowding, and solitary confinement should set alarm bells ringing in California. Berger said that "by choosing him to head CDCR, Jerry Brown has signaled his own unwillingness to pull back from the prison crisis which California has been facing for so long." Inmates at Pelican Bay State Prison and other facilities are launching their third hunger strike in two years to highlight inhumane treatment in solitary confinement.